Where there’s a will, there’s a way and even if a product doesn’t typically have high profit margins, someone, somewhere can find a way to make it profitable. This article is NOT stating that you CANNOT make money in these industries; it’s simply stating that the following products/industries tend to have lower profit margins. If you build a strong brand, create a unique angle, target the right market and create demand for your products, you can charge higher than average prices, increase profits and earn more money. 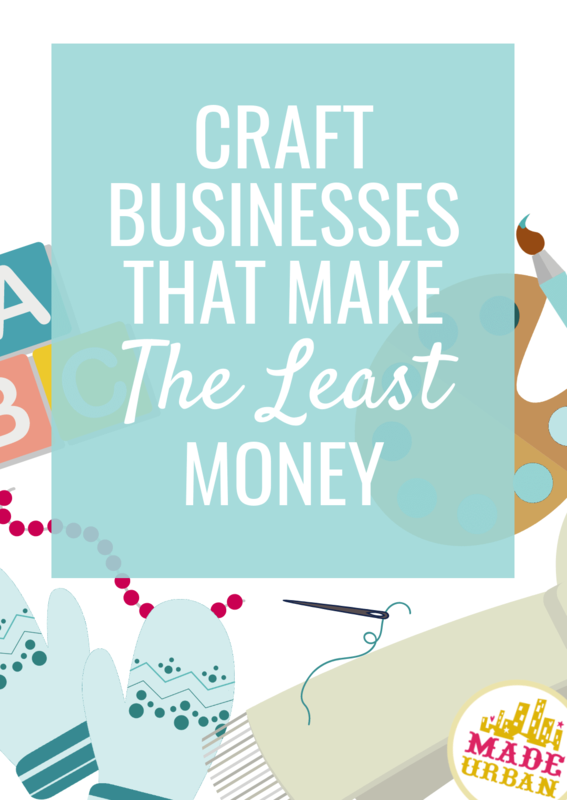 Below are the craft businesses that make the least money due to lower profit margins. Fingers and hands can only move so fast so it can be difficult to lower production time. There are certain processes, tools, machines, etc. that can speed up the time it takes to sew an item or mix and pour a large batch of candles but with knitting/crocheting products by hand, there’s a ceiling in terms of how fast you can turn out products. Simplifying patterns and products or finding great wholesale prices for yarn can help lower production costs, while building a strong brand can allow you to raise your prices. I put this one in because of the detailed regulations children’s products must follow and the testing products may have to go through. Extra care must go into sourcing materials that are safe for children, ensuring pieces are properly secured so they don’t cause a choking hazard, etc. Bag making typically requires several steps, which increases labor time. Material costs can also add up, as most bags require hardware (e.g. zippers, snaps, strap slides), may use materials such as leather (which may also require a heavy duty sewing machine), stabilizer, etc. A skilled sewer offering limited styles and purchasing materials wholesale can lower costs while a strong brand and USP allows a maker to charge higher prices. Making one of a kind bags means each new style involves a new pattern and learning curve, thus increasing labor time. Fashion is a competitive industry and “fast fashion” has become a little too popular with people preferring low prices over quality. This makes it more difficult to earn a healthy profit as a small handmade business in the clothing industry. Purchasing tank tops/t-shirts and screen-printing images and designs on them can keep costs low but there must be a high demand for your screen-printed designs (and they can’t break copyright laws). Sewing blouses, pants, jackets, suits, etc. requires several pieces and steps to complete. It also requires a lot of accuracy and skill to be sure the clothing fits properly. Techniques and tools that speed up production can increase profit margins as well as offering items that require less time to sew such as circle skirts (or loose fitting skirts), robes, pajama bottoms, bathing suit cover-ups/ponchos, etc. Quilts require cutting, aligning and sewing multiple pieces of fabric, which makes them very labor intensive. The size of the quilt, number and size of quilt pieces, cost of fabric used and speed of sewer all vary but for a queen sized, traditional quilt, sewn on a domestic sewing machine it’s generally around 20 hours. Multiply that by the hourly wage you should be paying yourself, include the cost of materials and add profit, and it’s easy for a quilt to be worth over $1000 retail. There are people willing to pay a higher price for a quality quilt but they may be harder to find. Woodworking is a beautiful craft but requires a lot of time to build and finish one piece. There are people willing to pay for quality woodwork but they’re fewer and farther between than those who want to run to IKEA and purchase a dresser for under $50. Again, branding and a strong USP can convince consumers to spend more on quality handmade products and finding a niche can help you target a different type of customer. Intricate and detailed beadwork used to create designs and patterns on purses, jewelry, clothing, etc. requires many hours to string hundreds of beads together to create a pattern or design. High labor costs can make it difficult to price items at prices consumers are willing to pay. Designs embroidered or cross-stitched onto fabric using colored thread or yarn require many stitches to create a design and when making each stitch by hand, those hours add up. Thickness of thread or yarn and a less detailed design can speed up production. Needle felting is another popular craft but one that’s also labor intensive. 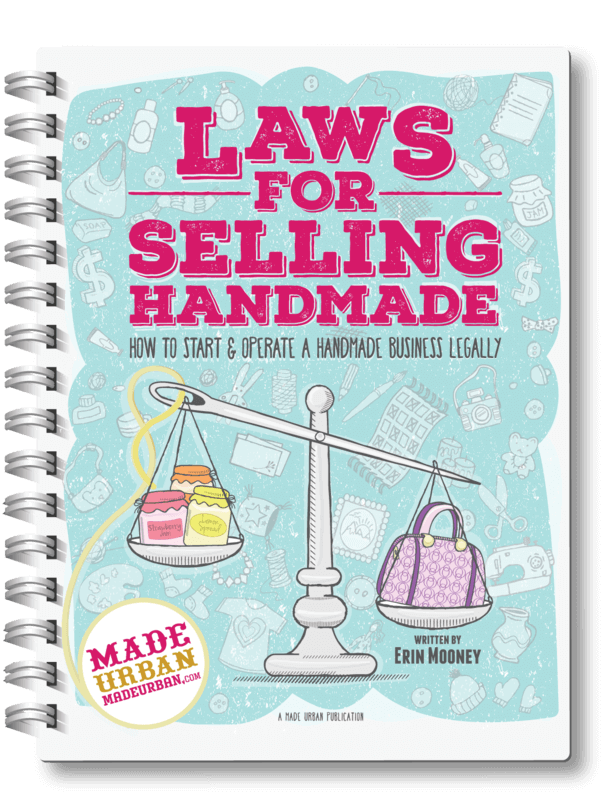 Again, don’t take this list as a rule that you can’t make money selling these crafts, you just need to find the right market, USP and branding that allows you to charge prices that increase your profit margins. If your craft is a hobby and not a business then numbers and profits may not be as important to you. But if you craft for business then you MUST be making a profit. Too many crafters aren’t crunching their numbers or pricing their products to get paid what they’re worth. You deserve to be paid for your time! If the product your making isn’t selling or profiting enough to pay your wage, you may consider exploring a new product, technique or adjusting your prices. Not sure how long ago this was written but it’s worth mentioning that photography doesn’t exactly meet requirements for a low cost business anymore. The vast majority of successful photographers spend a large amount of hours editing photos before print. And if they are shooting often enough, will outsource their editing. Which of course adds significantly to production cost. The time spent on a wedding for example, will easily double with editing time included. Thanks for commenting! That’s a great point and I agree, selling a product such as wedding photos can have high production costs due to editing time and only being able to sell those photos once. However, my article is referring to more of a craft business selling photography as art. Prints can be sold over and over and photos can even be used on merchandise such calendars, stationery, greeting cards, etc. so the editing costs are spread between multiple sales.